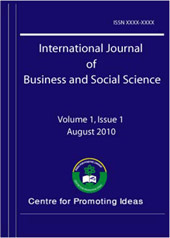 Purpose - This study examined the linkages between total quality management and organizational survival in manufacturing companies in Ghana. Design/methodology/approach – The quantitative approach and the survey method of collecting data were used. The questionnaire was administered through the face-to-face method of collecting data. A sample of 250 manufacturing firms within the metropolis of Kumasi, the second largest city in Ghana was selected and intervi ewed. The missing data and data anomalies were eliminated resulting in a final valid sample of 101. A structural equation model (SEM) was proposed to examine the relationships between the seven organizational linkages and five practices of TQM impact on the Ghanaian companies. Findings – The findings showed significant positive effect of the seven Total Quality Management (TQM) elements on organizational performance. Originality/value – This study demonstrated that Ghanaian and foreign owned manufacturing companies believe that total quality management is a key-contributing factor to a firm’s survival.